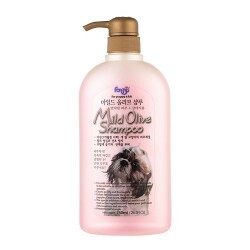 Product Information- Forbis mild olive shampoo freshens the dogs skin from natural high quality of aloe.This product uses non irritating washing ingredient made from olive oil and coconut oil allowing for effective washing of soft and sensitive skin. It also helps maintain shin and resilient hair with rich moisturizing function, and establishment of a cuticle coating for soft and sensitive skin. The heat active ingredient help maintain shiny and resilient hair after drying.